These easy to make brownies are rich and delicious. 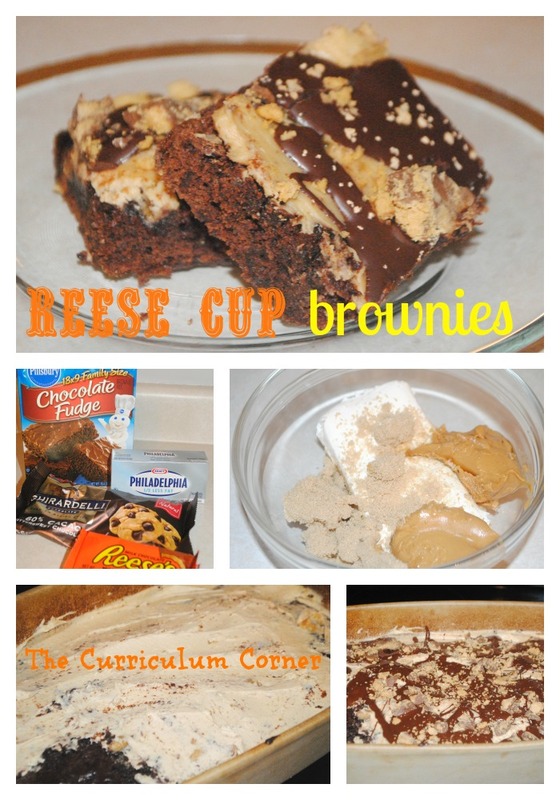 The Reese Cups and peanut butter icing make a simple brownie mix taste like a homemade treat. Make brownie mix following package directions. Let cool. Mix the cream cheese, brown sugar, peanut butter and vanilla with a mixer. Melt chocolate chips with the oil in the microwave. Drizzle with melted chocolate chips. 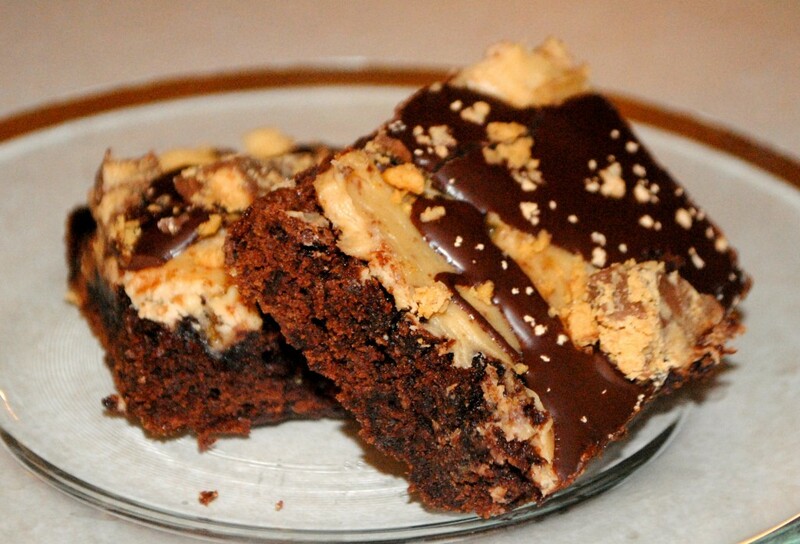 Top with crushed Reese Cups.